Over the weekend we were finally treated to a sneak peek trailer of NBC's forthcoming Bryan Fuller-helmed 'Hannibal,' even if the preview showed relatively little of the doctor himself. 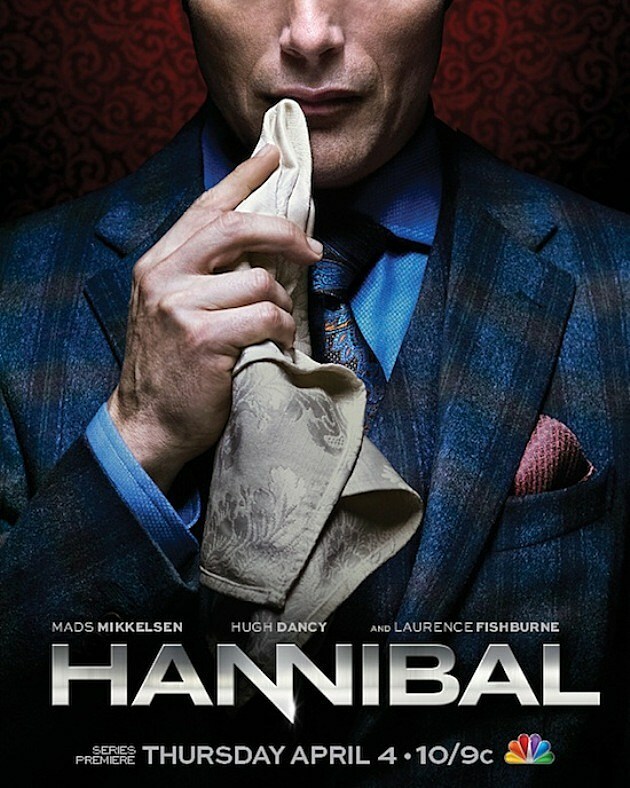 The new series has officially been set for an April 4 premiere, somewhat worryingly occupying the slot left behind by doctor dud 'Do No Harm,' will 'Hannibal' prove a much more palatable meal? Check out the latest creepy one-sheet poster for the new 'Hannibal' Lecter drama inside! 'Hannibal' "the cannibal" Lecter isn't a presence we'd expect to see fully unleashed on NBC, but the upcoming series from director Bryan Fuller has already proved significantly gory and creepy in just the brief footage we've seen. Teasing the additional carnage sure to come, TVLine has obtained a new poster for the Thomas Harris-adapted series, which shows the good Dr. Hannibal Lecter doing (or finishing up) what he does best. Set in the early days of Will Graham and Lecter’s partnership, Fuller’s envisioned series is said to be “a love story” told across at least seven seasons, presuming NBC can keep it around that long. While we wait for 'Hannibal's April 4 premiere, check out the poster below, and tell us what you want to see from the Bryan Fuller series in the comments!